Here’s another post for you Tableau Server admins. Now Tableau Server runs on Windows. One day I’m sure those fine Tableau devs will release a Linux Server(!). In fact they’d better hurry up or Tamas Foldi is likely to beat them to it! But Windows it is so we have to deal with it. This is a short post which provides some links to useful utilities that every Tableau Server admin should have in her or his arsenal. Disclaimer – I’m no Windows Server Admin. If you are, or if you know of great alternatives to these tools then feel free to offer your professional solutions in the comments. One of the most annoying things with Windows is the absence of a native ‘tail‘ command unlike UNIX. So if you want to see what Tableau Server is up to when you’re working on it then use something like Baretail to view the log files as they get updated. The basic version of Baretail is free. It’s easy to use and does the job. It’s also a single executable file so no need to install. I use it a lot. Who knew config changes caused worker re-installs? I’d recommend tailing tabadmin.log every time you log onto your server, regardless of whether there’s an issue or not. You’ll learn a ton about the regular behaviour of the application. See this example screenshot here. I didn’t know that every time you hit OK on the “Configure Tableau Server” GUI then the Primary server goes off and uninstalls the tabsvc service on each worker and then re-installs it. Interesting to know that, and picked up by tailing tabadmin.log with Baretail. 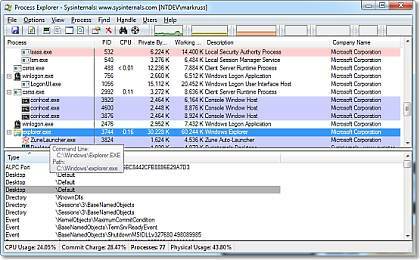 Chances are you’re all familiar with Windows Task Manager which is the native utility used for viewing process activity on your server. Trouble is, it’s pretty basic and hasn’t evolved too much since it first came out. So instead I use Process Explorer. Has a lot more functionality and is very easy to use. In this screenshot you can see how the tabspawn.exe process has started a number of other processes, whereas the webserver (httpd.exe) runs independently and not under the control of tabspawn. Xperf is a handy tool for logging all sorts of detailed operating system metrics. We’ve used it to analyse behaviour of Tableau Server processes in terms of CPU utilisation, memory use, disk and other process behaviour. Not a tool that you can leave running on your system though as it generates shed loads of output and will burn your disk space pretty quickly. So use sparingly. Fiddler is a cool application and really useful. It’s primary use is to capture information from programs that use http. I’ve used it to spot issues with the webserver on the Tableau Server or to analyse some of the protocol information for various web sessions on the server. For example, there was an issue with SSLv3 as per this article. Tableau support ensured us that Server would use the TLS protocol instead, but we had no way of knowing for sure. 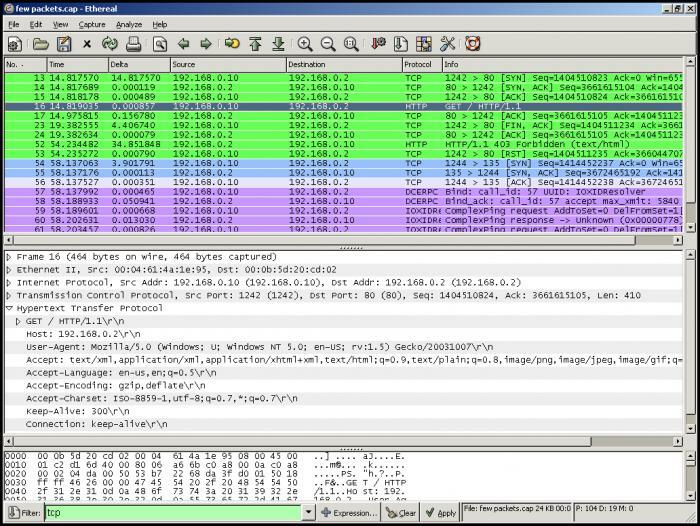 We used Fiddler to analyse the http traffic and confirm the protocol that was being used. Nice. I like Wireshark. But then again I like anything with shark in the name. I’m a serious shark fan. Simply put, if you want to see what’s going on with the network on your Tableau Server then fire up Wireshark. It’ll tell you a lot of info including highly detailed network packet information. It also has pretty nifty colour coding for different packet types which makes usage easy for non-network folks like me. 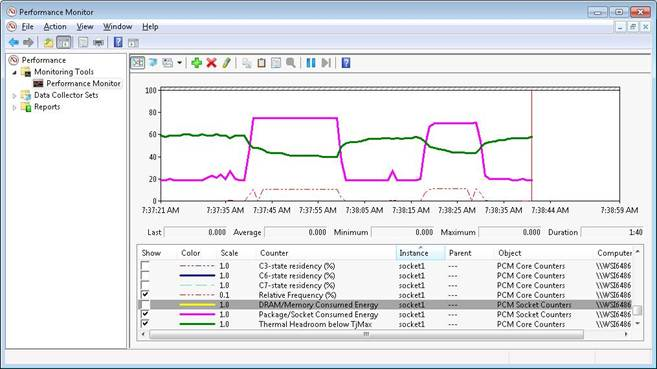 Windows Performance Monitor is another handy tool. It collects a whole load of system metrics such as memory use, CPU etc and creates handy data sets that can be easily visualised (with Tableau of course!). 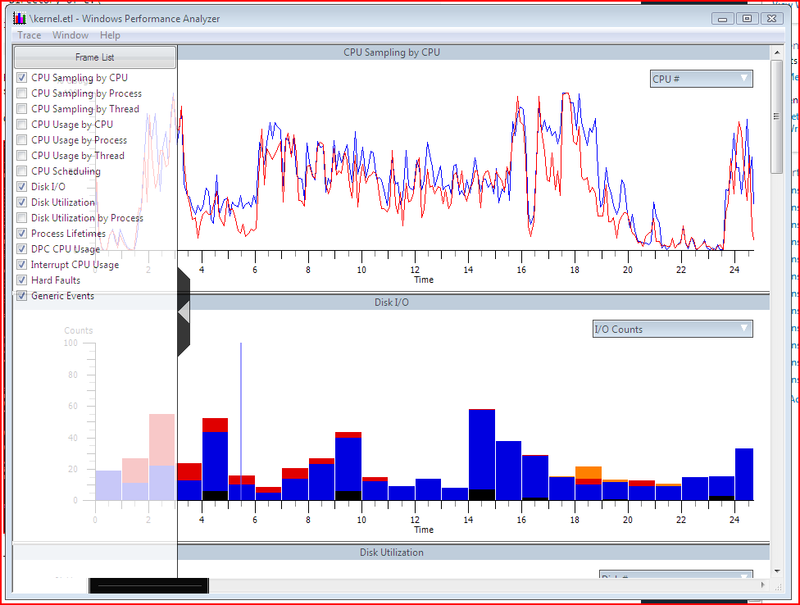 In fact perfmon data is one of the first places we look when diagnosing root cause of issues. I’ve never used this tool, but it comes recommended by a Server admin pal of mine. Glen from Interworks knows as much about everyone’s least favourite OS as anyone I’ve ever met. He’s also a Tableau Server expert so that’s a good enough recommendation for me. So there you go. A handful of utilities that hopefully you won’t have to use too often. Of course the best way to not have to use these is to avoid issues in the first place. You can help yourself with good Tableau Server monitoring and by ensuring you take backups. This entry was posted in Tableau as an IT service, Top Tips and tagged admin, baretail, cpu, debug, fiddler, logs, memory, perfmon, process explorer, server, sys admin, tableau, tools, windows, wireshark by paulbanoub. Bookmark the permalink.